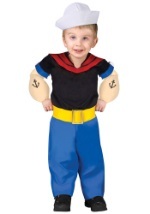 Load up on spinach this Halloween with this fantastic Popeye the Sailor Man costume for kids! 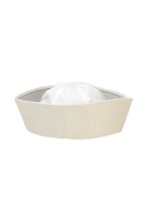 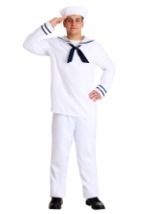 The 5-piece costume includes sailor top, pants, padded muscle arms, fabric belt, and white sailor cap. 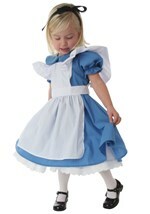 The black top is also 100% polyester with short sleeves trimmed in blue. 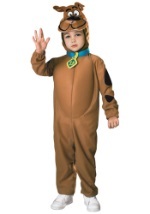 A red collar is attached at the throat but hangs loose in the back to neatly hide the Velcro closure at the back of the costume's neck. 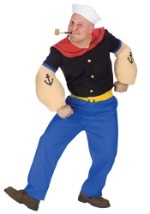 The blue polyester pants have an elastic waistband. 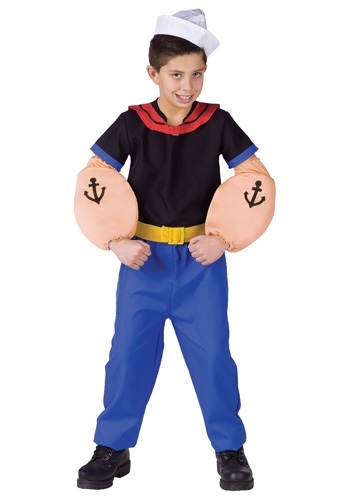 The included padded arm muscles are flesh-colored and made with foam, with Popeye's distinguishing black anchor tattoos on each bicep. 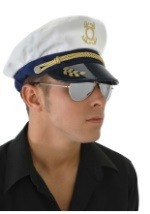 Also included is a yellow cloth belt decorated with a gold colored buckle and a white sailor cap. 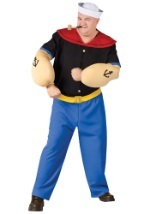 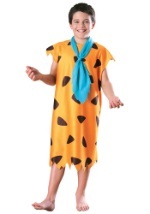 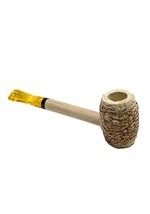 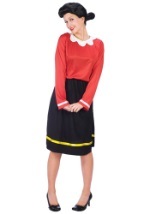 Add a corn cob pipe to this costume and you'll be unmistakable!